It’s not hard to be sceptical of those who seek to change the status quo, especially in Irish politics, which has been long dominated by political parties differentiated mostly not on policy or political hue, but by being on opposing sides of a civil war. And in the scant 67 years since the foundation of the Republic, that status quo dominated with nary anyone else getting a look-in. Well, there’s Labour, a party that had long given up any pretences of representing the left. There’s the Progressive Democrats, what would have been radicals that lost their reason for existing, which was in opposition against that bogeyman Charlie. There’s the Greens, wiped out and barely clinging to relevance. And countless little formations and groups, all seeking to change the world but sank without much of a pyre for their accomplishments, scrambling against the feet of the big two that are Fine Gael and Fianna Fail. But the status quo has been crumbling. The rise of Sinn Fein, the new prominence of the Socialists united against austerity, Fianna Fail’s five-year march into obsolescence, even Renua Ireland. Suddenly there’s a wellspring of differences, of other voices scrambling to get their foot in. This may well prove to be temporary. 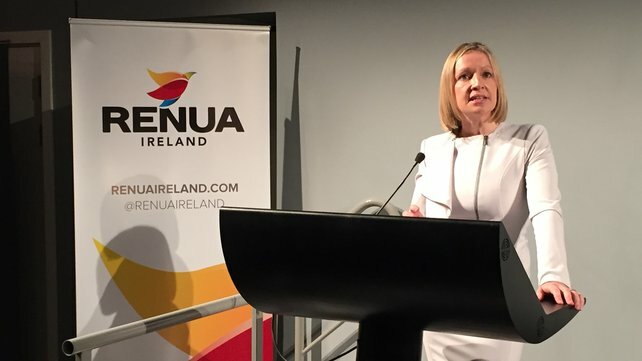 Renua may well turn out to be the PD-lite Lucinda Creighton Re-Election Campaign it has been accused of from the start. Sinn Fein’s violent republican past may well catch up with it even as its leaders try to hide. Should the economy keep recovering, the angry voices of the Anti-Austerity Alliance could turn impotent. Politics is as much predictable as the economy, and whatever shifts may occur in the future are made obscure to us in the present. What is striking is that there is such a crumbling of the status quo. That Socialist TD’s would win by-elections, never mind becoming prominent voices in the political scene. That Fianna Fail, colossus of Irish politics, has experienced such a decline after their calamitous exit from government, from losses in polls to continual defections. That even the status quo could change. Again, this could very well be a wibble. But it’s a wibble I will endorse. Full disclosure: as a foreigner, it always baffled me that seemingly the two main political parties of this country differ not on anything as major as political beliefs or policy, but in that they both stemmed from a long gone civil war. And that there has been very little to contend to that status quo. But progress of any sort, change of any sort, involves killing off a form of the past. There will come a time in Ireland’s future where Fine Gael, Fianna Fail, Labour et al, will be left to the dusts of history. Change is upheaval and often it looks ugly and disorientating. The idea of the Irish political landscape without the players that have dominated it for the last thirty years seems unfathomable. But that’s an idea that will definitely come to be.